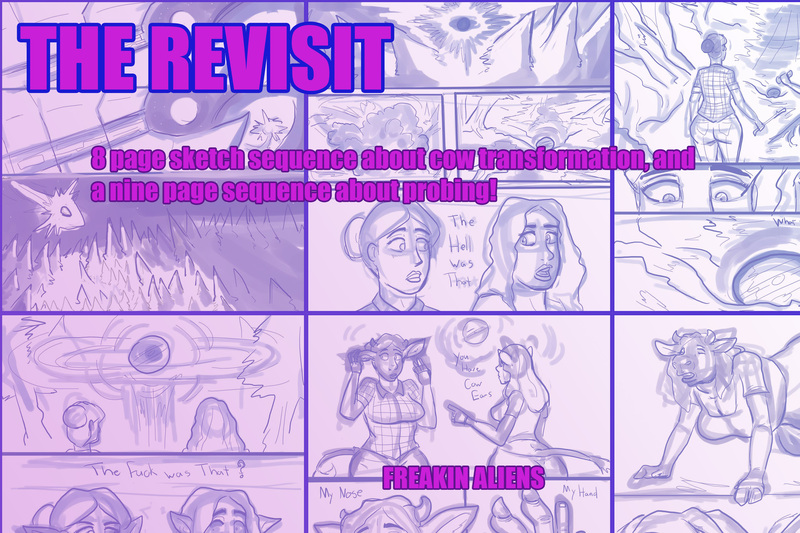 8 page sequence about cow transformation, and a nine page sequence about probing! 8 page sequence about cow transformation, and a nine page sequence about probing! Its on sale for the fourth, and its all just simple sketches for 8 bucks!